Five-gallon buckets are ubiquitous and cheap (indeed, they are often free). But did you know they can also be hacked, hot-rodded, reengineered, and upcycled to create dozens of useful DIY projects for homeowners, gardeners, small-scale farmers, and preppers? 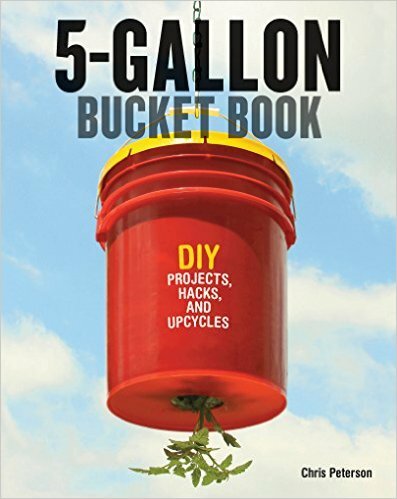 5-Gallon Bucket Book contains 60+ ideas that put these humble and hard-working mainstays to work past their prime and keep them out of landfills. Simple step-by-step instructions, as well as parts lists and images of the completed projects, make sure you will have fun and love the results of your work. Projects include perfect additions to your yard and garden, tools to care for your animals, useful innovations, handy home helpers, and even family-oriented designs! They range from simple things such as chicken feeders to much more complex projects (small room air conditioner, anyone?). 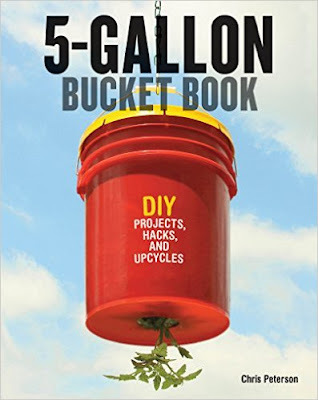 For anyone who doesn't already have fifteen of them cluttering up the garage, 5-Gallon Bucket Book also offers advice on where to get cheap and free buckets and how to tell if a bucket is safe to use for food.